Antelope Wells is the site of one of about three dozen Border Patrol “forward operating bases” in Arizona, New Mexico and Texas — bare-bones facilities designed to increase enforcement in remote areas. About four agents are assigned to Antelope Wells and they sleep at the base on eight-day shifts to avoid having to drive home every day. Migrants have told agents that they took commercial buses from Guatemala to New Mexico in four or five days straight, a sharp contrast to the traditional route that can take 25 to 30 days to reach the U.S. border and includes rest stops at “stash houses” along the way, McAleenan said. 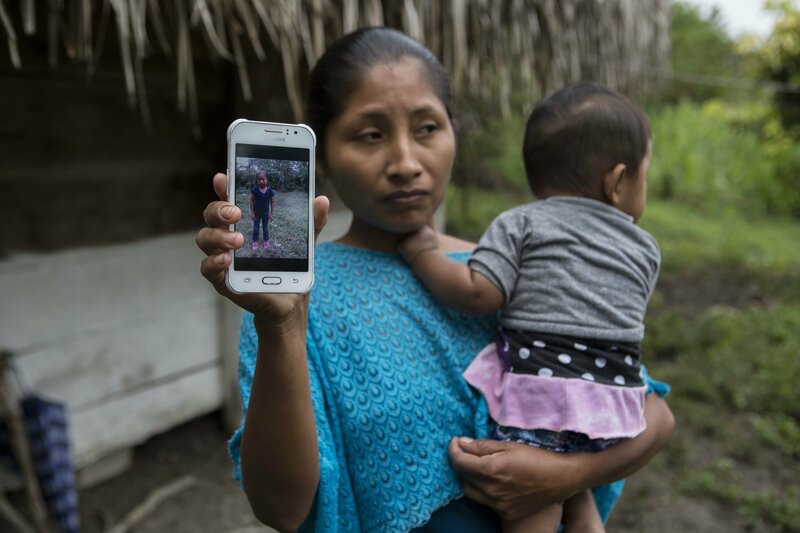 It’s unclear why Guatemalans are choosing such a remote spot, but McAleenan said it may be less expensive for smugglers to pay other criminal organizations fees to pass through. The U.S. is working with Mexico to determine the reasons behind it, hoping to redirect traffic to the nearest cities, El Paso and Nogales, Arizona. Families began arriving in large groups about once or twice a week since mid-October and the trend has accelerated in recent weeks, McAleenan said. The families are generally seeking out U.S. agents to turn themselves in, raising questions about why they would go to such lengths when they could do so in large cities. All along the border, migrants are increasingly turning themselves in to U.S. authorities to seek asylum or other form of humanitarian protection. The U.S. has shifted additional medical personnel and more vehicles to Lordsburg and Antelope Wells to help manage. Only about 30 vehicles a day enter the U.S. at the Antelope Wells, compared to tens of thousands at San Diego’s San Ysidro crossing, the nation’s busiest. McAleenan said buses typically drop off Guatemalans near Antelope Wells and they cross a barbed-wire fence to reach the U.S.
McAleenan gave a tour of the area to members of the Democratic Congressional Hispanic Caucus. Rep. Joaquin Castro, D-Texas, said the group had seen many young children and their parents in the facility, and called for a congressional investigation into the conditions at the facility and the girl’s death. Caal’s body was expected to be returned to Guatemala Thursday, and then taken to her hometown of San Antonio Secortez. Her death touched off a firestorm. Border Patrol agents said they did all they could do to help the girl who seemed healthy when she first reached encountered them. But it’s not clear if there was a translation issue. Border Patrol agents were speaking to her father in Spanish, as they are required to do, but his first language is the Mayan tongue known as Q’eqchi’. Attorneys in Texas representing the girl’s father criticized U.S. officials for asking him to sign a form that asks questions with check boxes of “yes” or “no.” ″Claims good health” was handwritten in the “additional comments” section. Her cause of death has not been released. The family also disputed the accounts by U.S. officials that the girl walked for days in the desert without food or water before crossing. The father’s lawyers said Caal took care of his daughter, giving her sufficient water and food, and she appeared to be in good health.